ONE of the most important figures in the fight to abolish slavery spent most of his childhood in Cardross and was educated in Helensburgh. 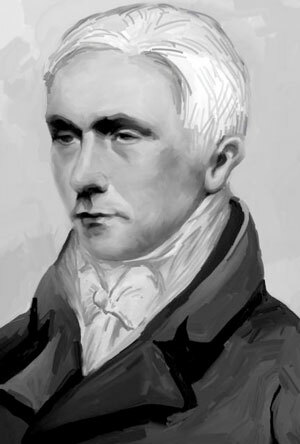 Zachary Macaulay, whose father was the minister of Cardross Parish Church from 1774 until his death in 1789, became a colonial governor, a philanthropist, and a slavery abolitionist and campaigner. Born in Inveraray on May 2 1768, the son of the Rev John Macaulay and his wife Margaret Campbell, he received his basic education in the burgh before teaching himself Greek and Latin and reading the English classics. He went to work in a merchant’s counting house in Glasgow, fell into bad company and became a heavy drinker in his early teens. So in late 1784, at the age of sixteen, he emigrated to Jamaica, where he worked as an assistant manager at a sugar plantation. He was deeply affected by the horrific violence of the slavery which surrounded him, but eventually became hardened to the plight of the slaves — by his own admission “callous and indifferent”. He was a good worker, had successfully moderated his drinking, and proved himself to be a model book-keeper. He also, eventually, began to take an interest in the slaves and their welfare. In 1789 he returned to Britain and secured a position in London. His sister Jean had married Thomas Babington of Rothley Temple, Leicestershire, a country gentleman and ardent evangelical, and soon after Macaulay went to stay with them he began to come under their influence. He underwent what he described as a conversion experience, and soon became to know Babington’s associates, among whom were William Wilberforce and Henry Thornton. Partly because of his experiences in Jamaica, in 1790 he was invited to visit Sierra Leone, the west African colony originally founded by Granville Sharp to provide a home for emancipated slaves from the United States who came to Sierra Leone via Nova Scotia. Two years later he returned to Sierra Leone as one of the council members, and he was promoted to governor in 1794, administering the colony during a crucial five year period of its history — during which he successfully repelled an invasion by French revolutionary naval forces. In 1795 he even travelled as a passenger on a slave ship to find out what it was like to sail on the Middle Passage. He brought 21 boys and four girls back from Sierra Leone to be educated by the Clapham Sect in their African Academy. Sadly, many of the children died from measles once in London. He married Selina Mills from Bristol on August 26 1799, and they settled at 5 The Pavement, Clapham, London, SW4. They had several children, including the historian, poet, politician and peer Lord Thomas Babington Macaulay. Macaulay joined the Society for the Abolition of the Slave Trade, working closely with William Wilberforce, and soon became a leading figure in the parliamentary campaign against the slave trade. He later became secretary of the committee, which became known as the African Institution. His major contribution was to work on the collection and collating of the huge volume of evidence and drafting of reports — a role to which he was ideally suited as a skilled statistician with a meticulous approach and an exceptional head for figures. He also became a member of the Clapham Sect of evangelical Christian reformers, together with Wilberforce, Thornton and Edward Eliot, and edited their magazine, the Christian Observer, from 1802-16. He was also secretary of the African Institute from 1807-12. In the 1820s Macaulay turned his attention towards securing the total abolition of slavery itself. He helped found the Society for the Mitigation and Gradual Abolition of Slavery (later the Anti-Slavery Society) in 1823, and was editor of its publication, the Anti-Slavery Reporter. Through his incessant hard work and reasoned argument, he helped to lay the foundation for the eventual abolition of slavery throughout the British Empire in 1833. Prime Minister W.E.Gladstone confessed that Macaulay had been his tutor in framing the Bill. A Fellow of the Royal Society, he was also an active supporter of the British and Foreign Bible Society and the Church Missionary Society. After a period of ill health, he died in London on May 13 1838, and was buried in Mecklenburgh Square. 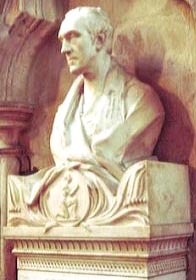 A life size bust by Henry Weekes was erected in the north west tower chapel in the nave of Westminster Abbey. The inscription on the pedestal, composed by Sir James Stephen, reads: "In grateful remembrance of Zachary Macaulay, who, during a protracted life, with an intense but quiet perseverance which no success could relax, no reverse could subdue, no toil, privation, or reproach could daunt, devoted his time, talents, fortune, and all the energies of his mind and body to the service of the most injured and helpless of mankind. “And who partook for more than forty successive years, in the counsels and in the labours which guided and blest by God first rescued the British Empire from the guilt of the slave trade; and finally conferred freedom on eight hundred thousand slaves. Just under the bust is a medallion with the kneeling figure of a slave inscribed "Am I not a man and a brother". In a book entitled ‘Helensburgh and the Three Lochs’, published by Macneur and Bryden Ltd. in the late1950s, burgh man J.Arnold Fleming wrote: “A son of the manse, this man of one idea, with little means, devoting his life to the well-being of humanity, wearing himself out to an untimely death in 1838, is an epic in our annals. “During his life he never forgot what he owed to Helensburgh, and frequently returned here accompanied by his brilliant son. They stayed at the Baths Hotel where they would be welcomed by Mrs Henry Bell.